A few days ago I considered some targets for the BGO robot. There did not seem to be visible candidates from the RASC Finest NGC list. I was considering the affect of the bright Moon. Found some bright View Again items in my life list, in particularly NGC 6882 within Vulpecula. This is a curious open cluster. SkyTools 3 Pro shows it around the bright star at the top or north. That star is 19 Vul. But there does not seem to be a collection of stars near to it. Is this why I thought I needed to view it again? Was my first impression, "Where is it?" Or, "Am I in the wrong spot?" Strange. There's the sweeping expanding arc of stars around it. Starting to the right or west and curving over top and looping down to the south-east, reminding me of the Fibonacci formula. Is that part of the cluster proper? Just above centre in the image is a medium-bright star (HD 192043) with a small grouping of less-than-a-dozen stars. ST3P shows this is open cluster AH03 J2011+26.7. OK. 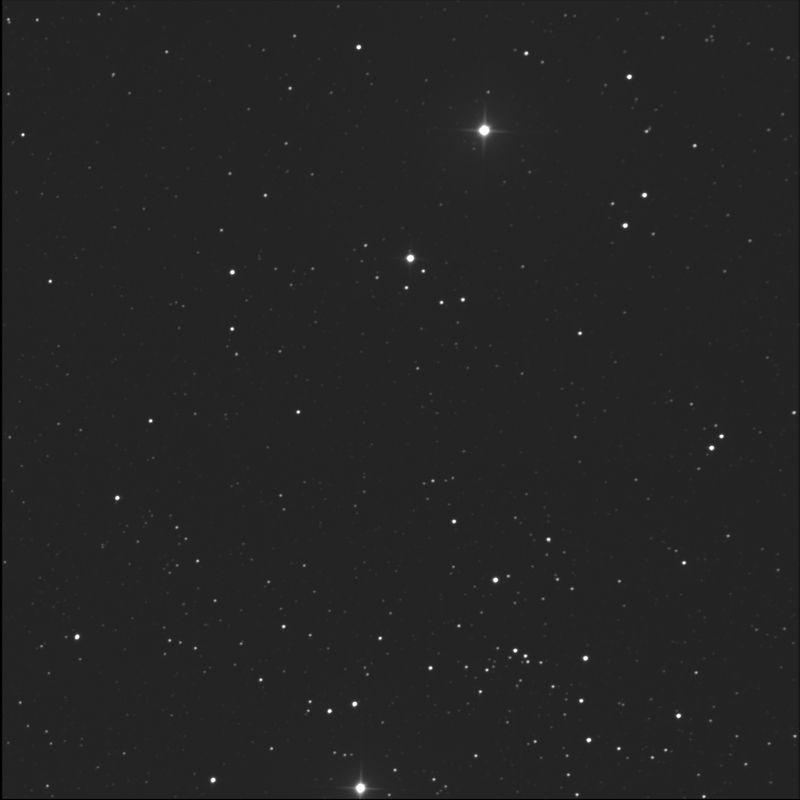 The increasing general density of stars at the bottom of the frame, to the south, is part of NGC 6885 (aka Caldwell 37), a large, widely disbursed open cluster. 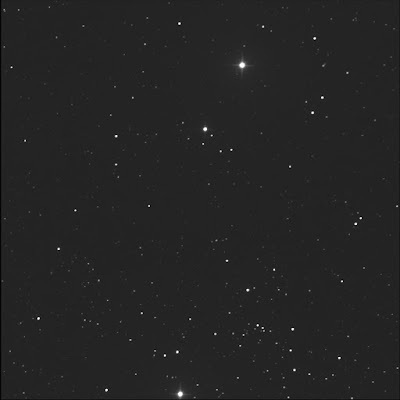 The thicker clump of stars to the south-west is open cluster Collinder 416. I would argue most if not all of the stars in this cluster are contained within this photograph. 20 Vul is the very bright star to the south, at the edge of the image field. Did a bit of research. Seems the old (paper-based) cartographers are confused about NGC 6882 and NGC 6885. I read Doug Scobel's remarks with interest. The centres of the two open clusters in Aladin/Simbad do seem to coincide with SkyTools. As does the location of Cr 416. At low power, it is certainly an interesting area, with conglomerations of faint stars with bright 18, 19, and 20 Vul outlining a large triangle.